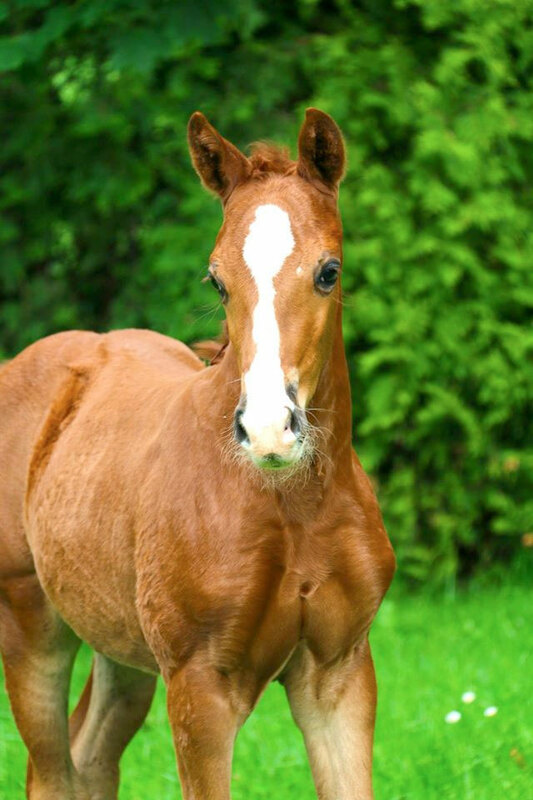 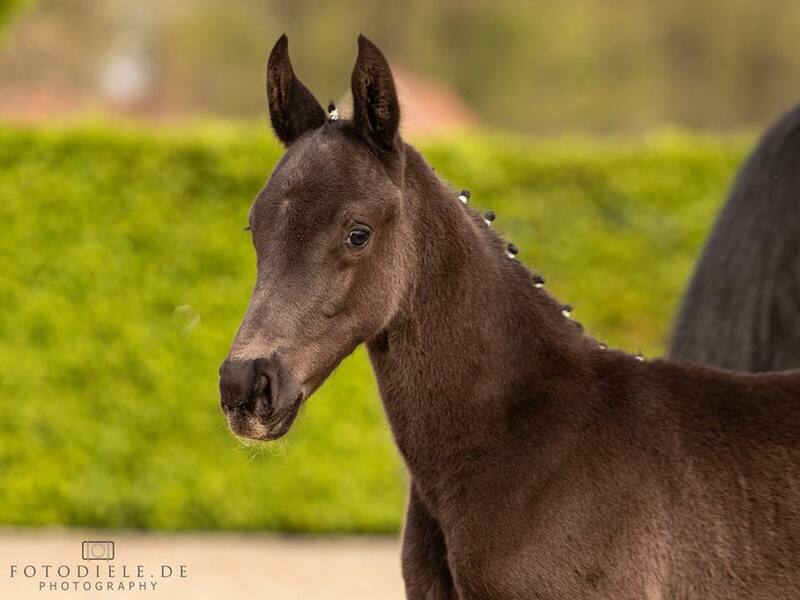 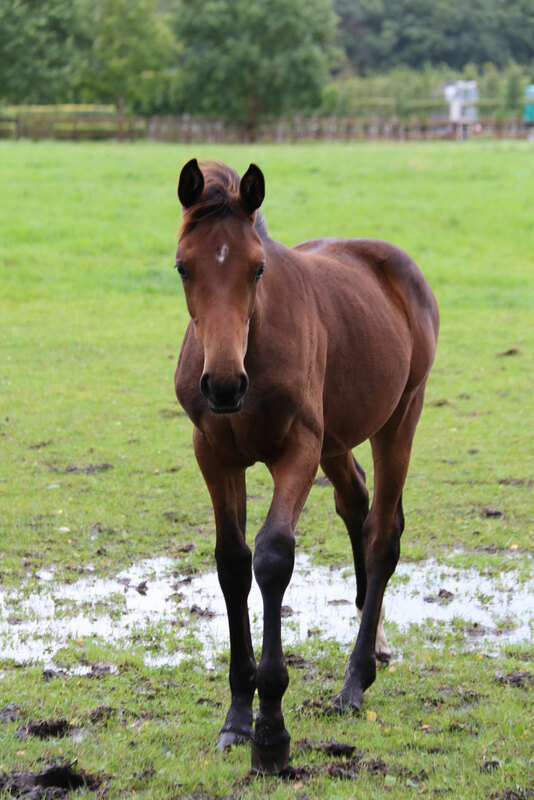 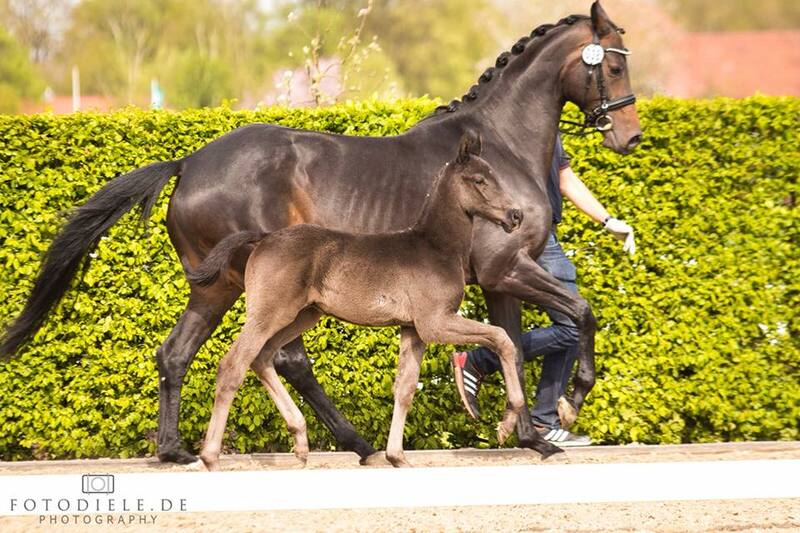 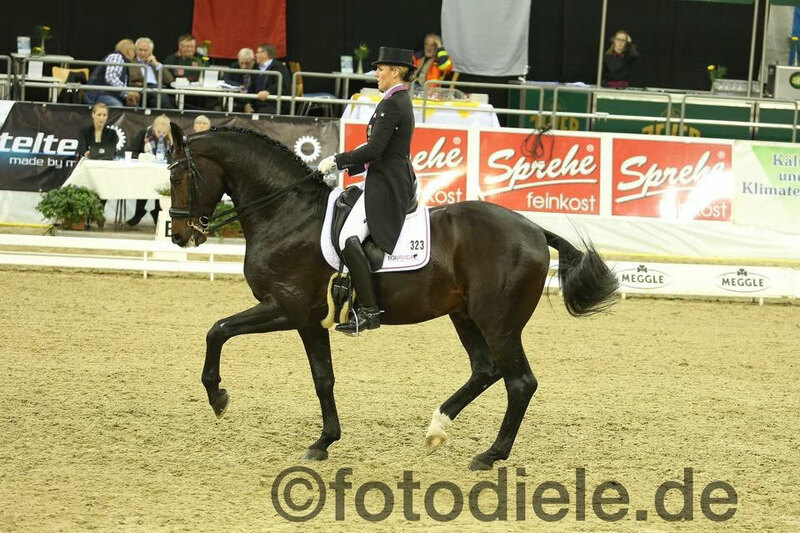 Spirit of the Age OLD was awarded as best Oldenburg horse in Germany in 2015. 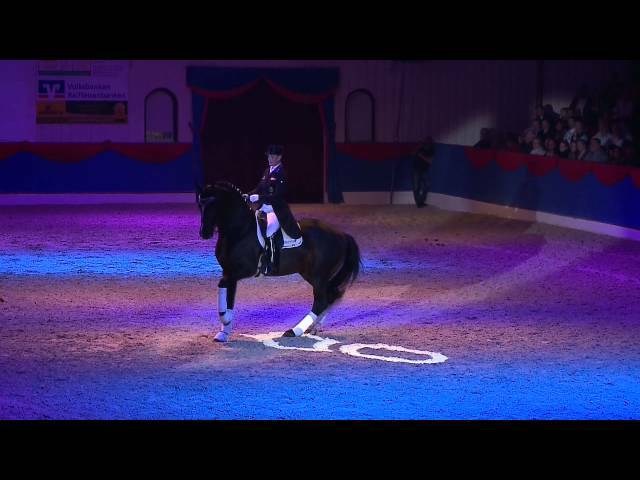 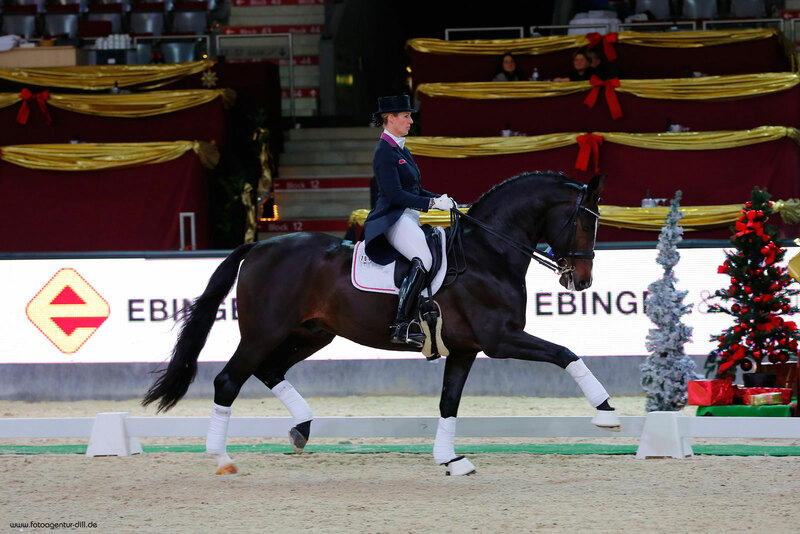 And in the world ranking 2015 he was the sixth best Oldenburg horse among all other horses. 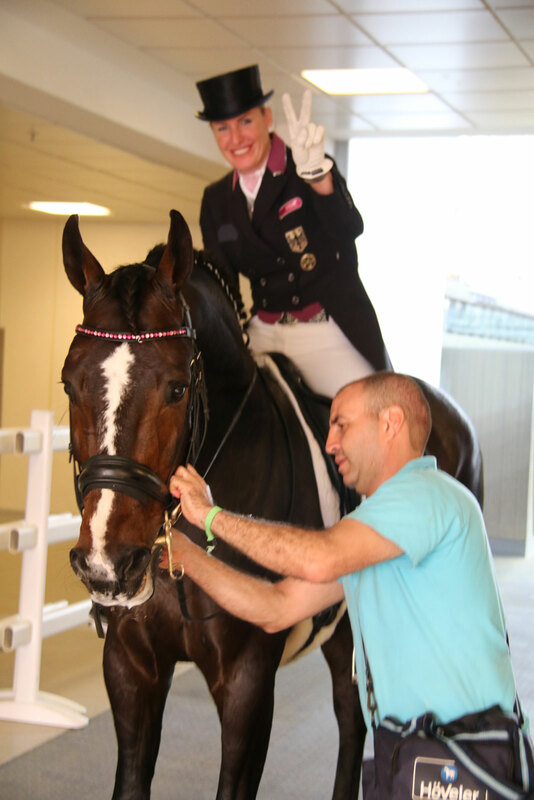 Spirit celebrates one international success by another. 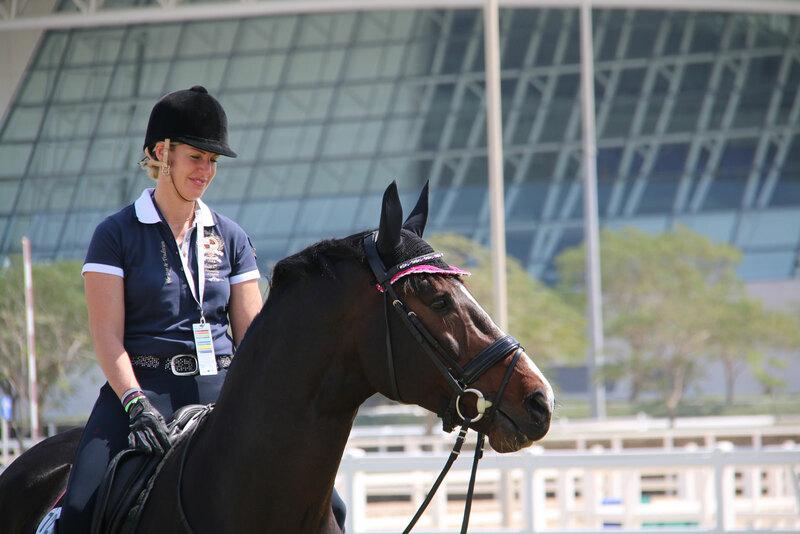 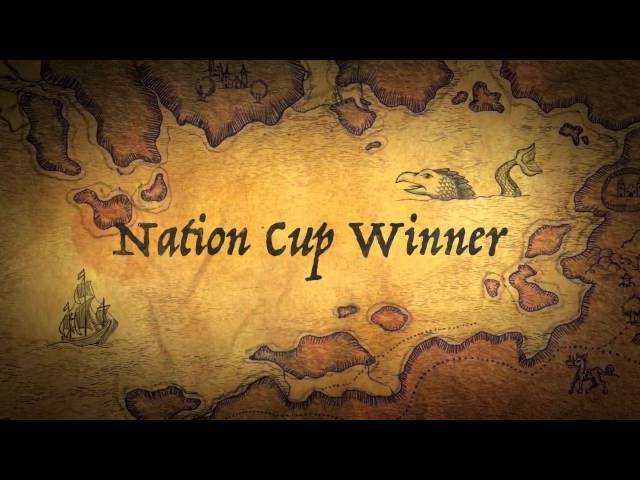 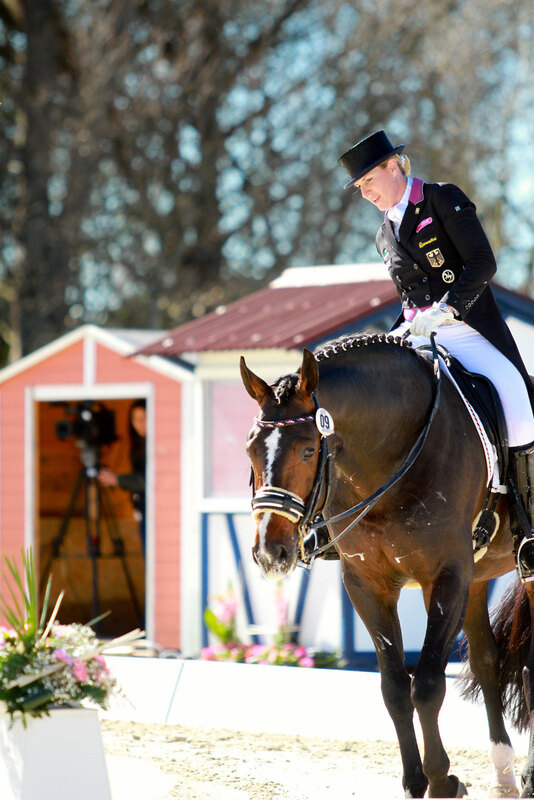 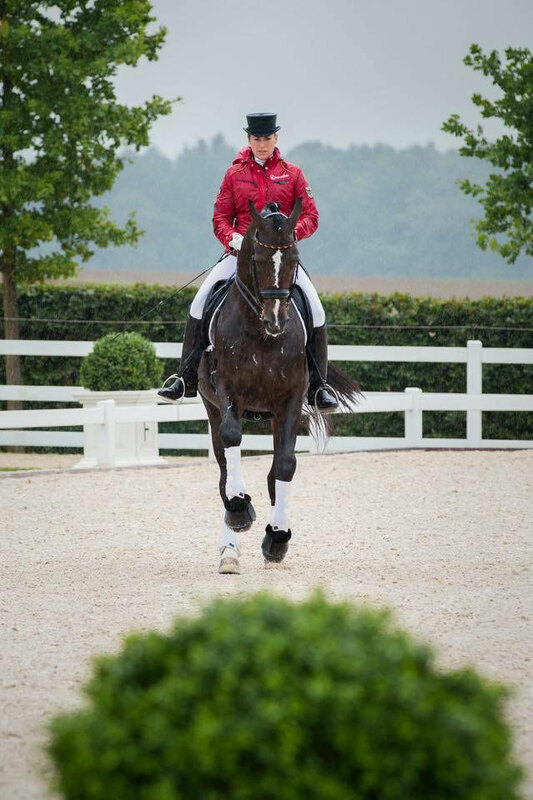 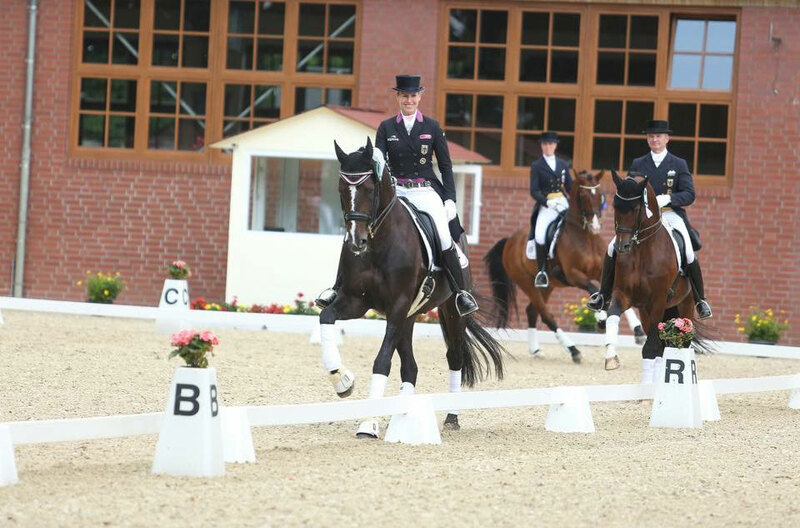 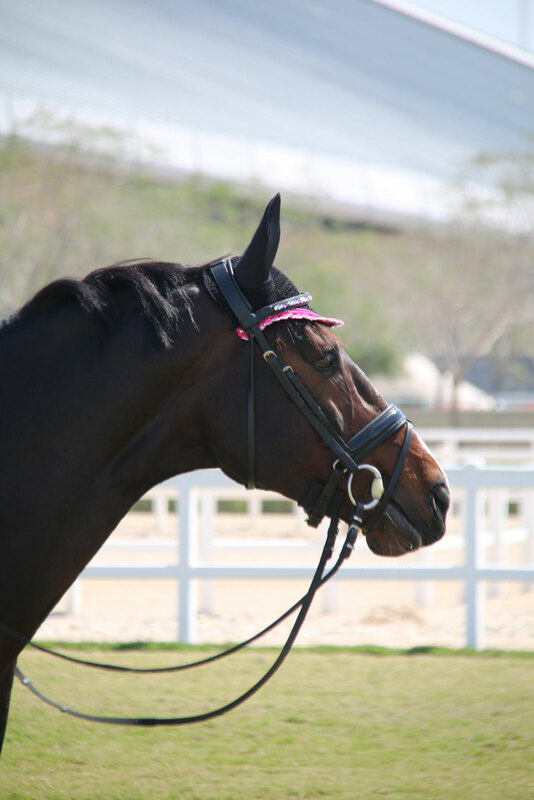 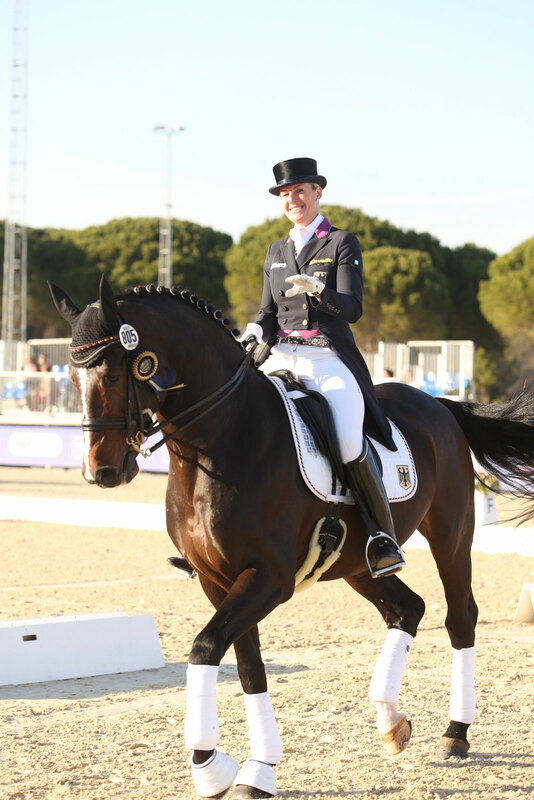 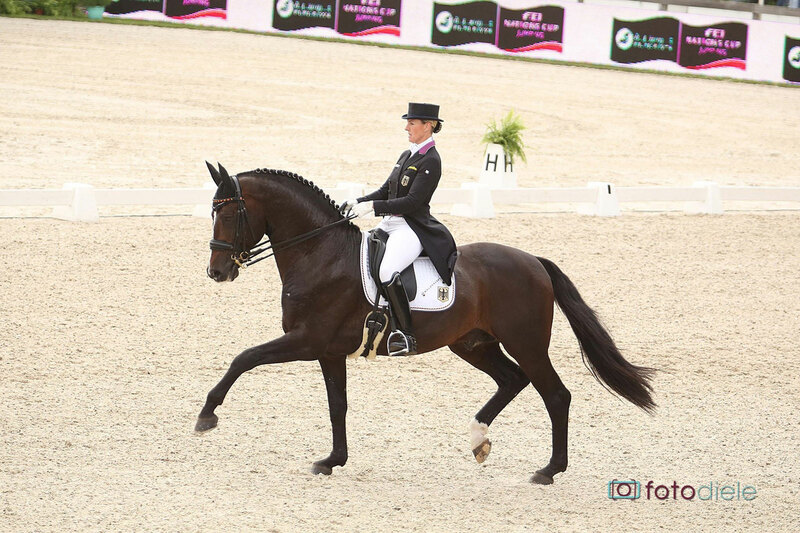 He has already won Nations Cups, three and four stars Grand Prix classes and collected several ribbons in World Cups. 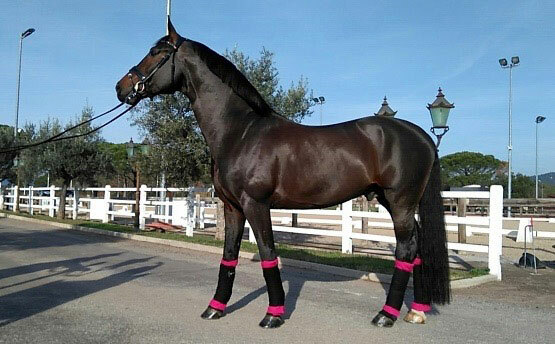 In breeding he passes resoundingly on his sovereignty and fantastic character. 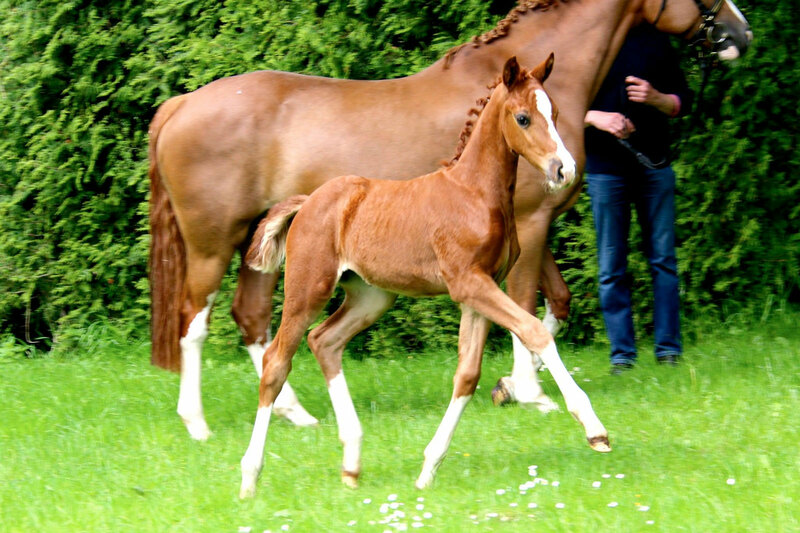 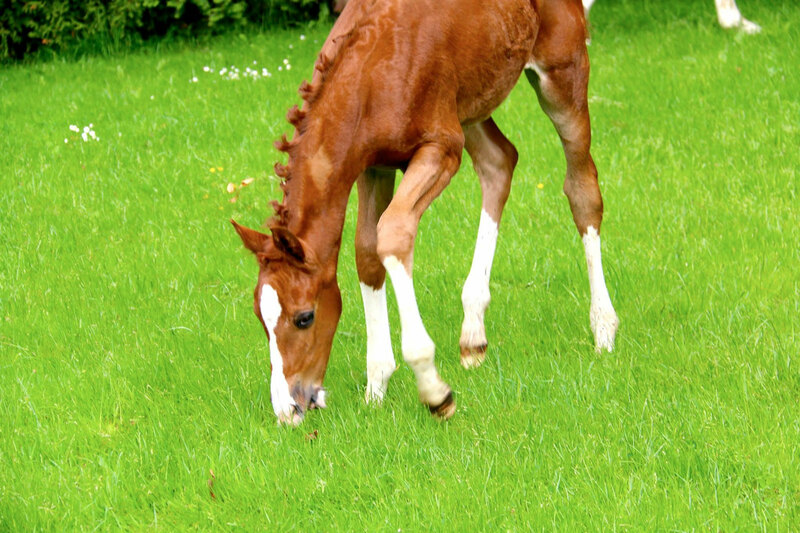 Furthermore, the basic gaits of his progeny are clearly above average. 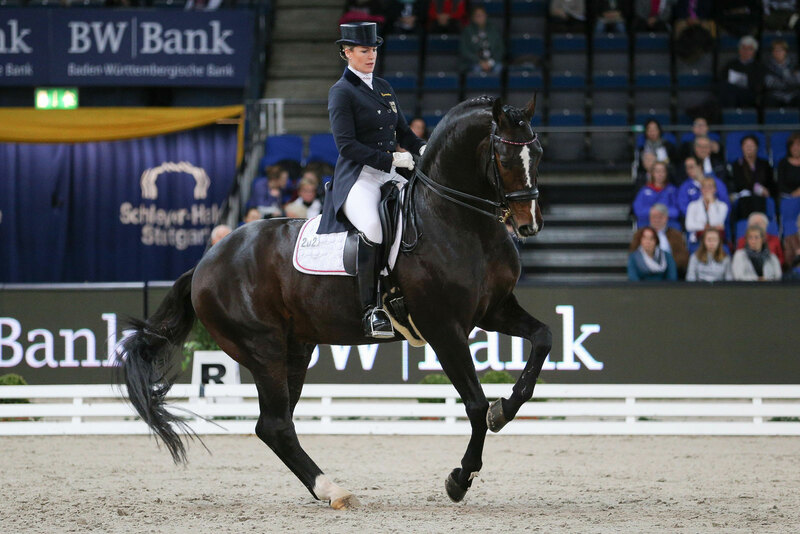 Spirit of the Age OLD inspires especially with his extraordinarily masculine appearance, his ground-covering basic gaits and his ability of collection, which he had proven quite early with successes in the Grand Prix arena. 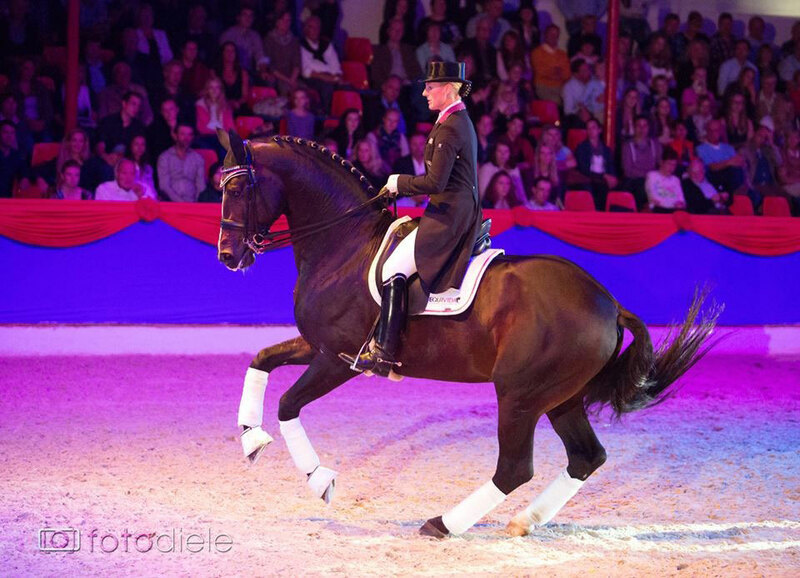 A stallion with many talents! 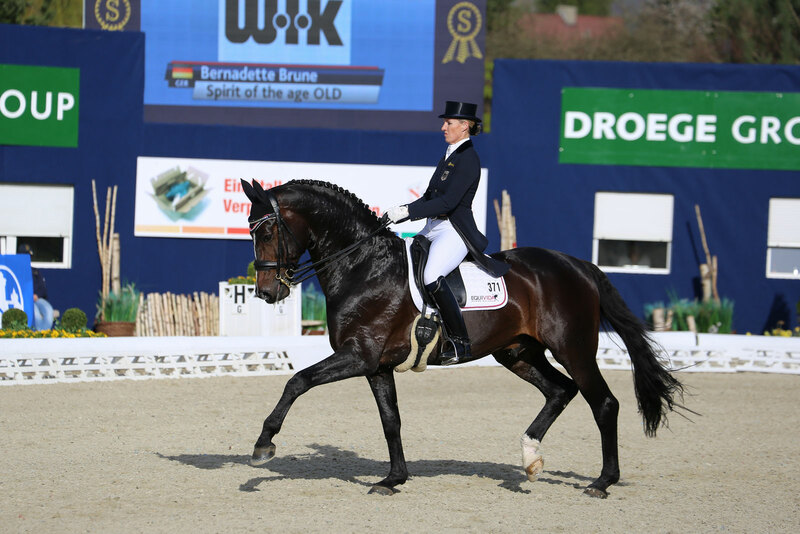 As representative of the Oldenburg Sport Promotion Team the abbreviation OLD is added to his name. 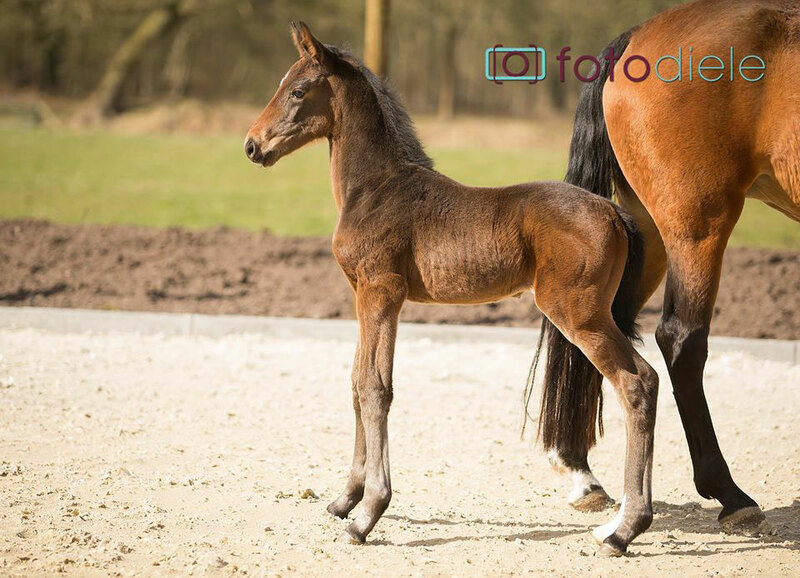 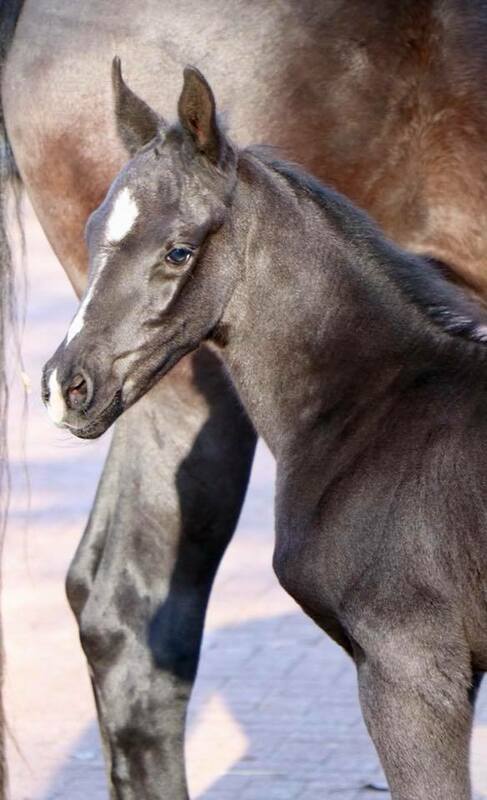 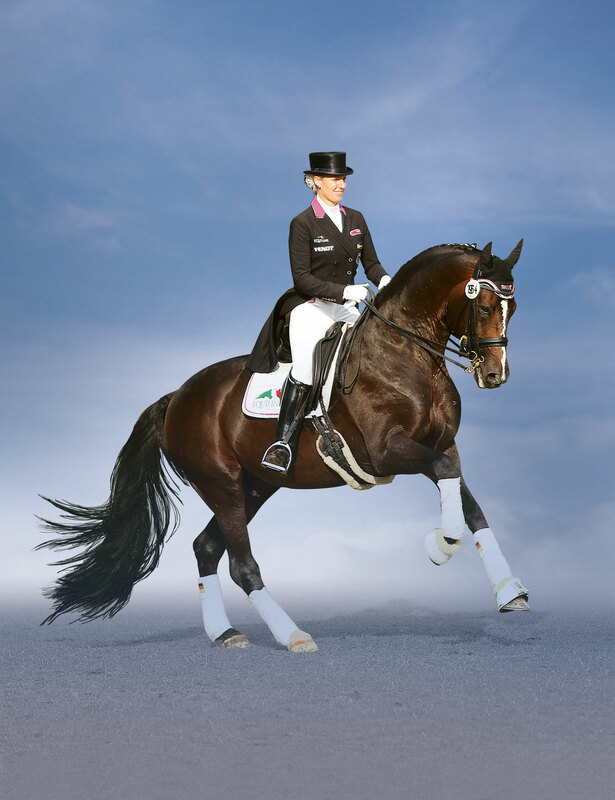 At the beginning of his sports career Spirit of the Age OLD won tests for young riding horses and dressage horses in series. 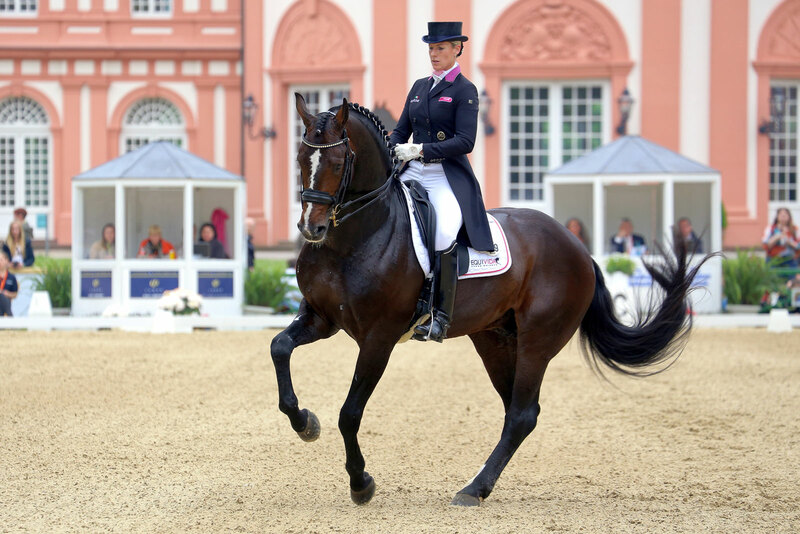 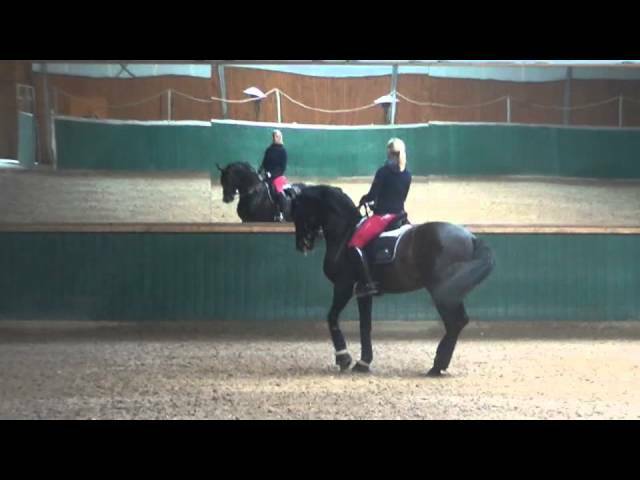 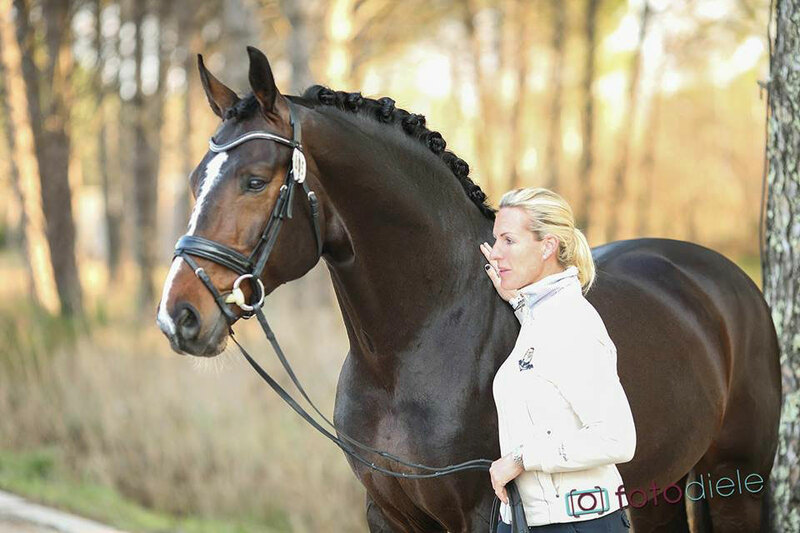 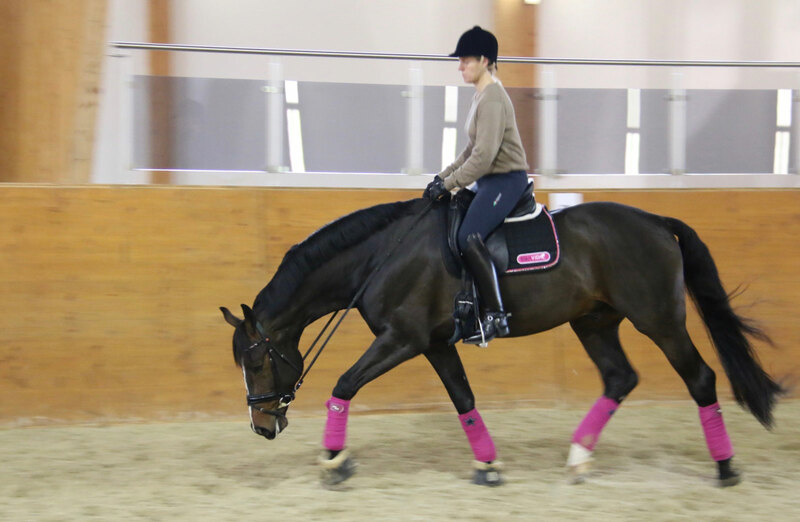 Trained by Thomas Rive, he collected many ribbons in medium level tests for young dressage horses. 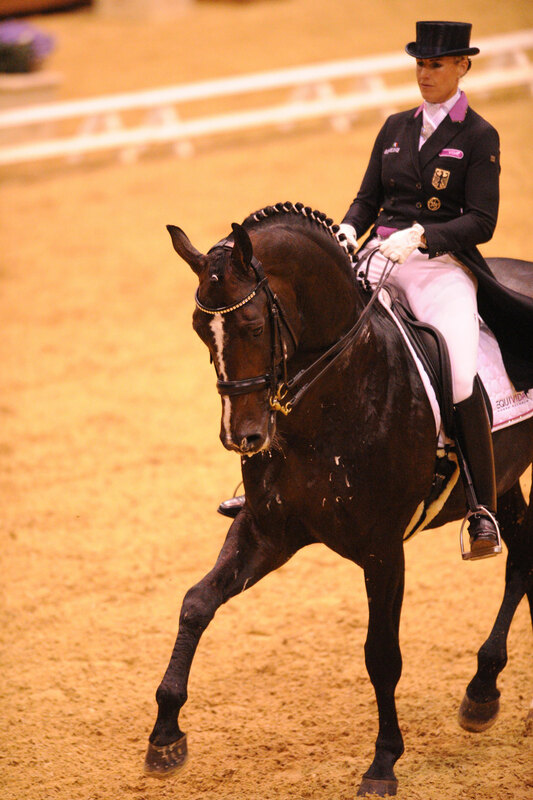 At the 76th Elite Auction in 2012, Spirit of the Age OLD was sold for a top price to Bernadette Brune. 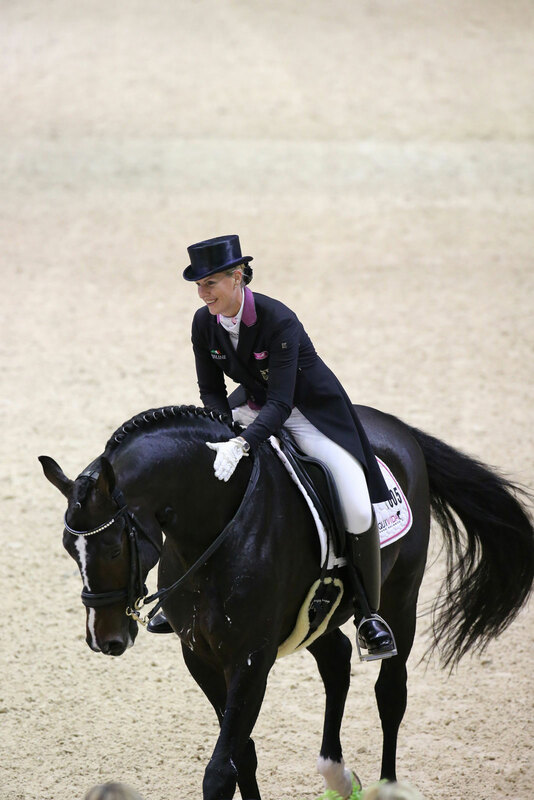 From now on, this pair could be found in winners lists as celebrated star of the dressage scene. 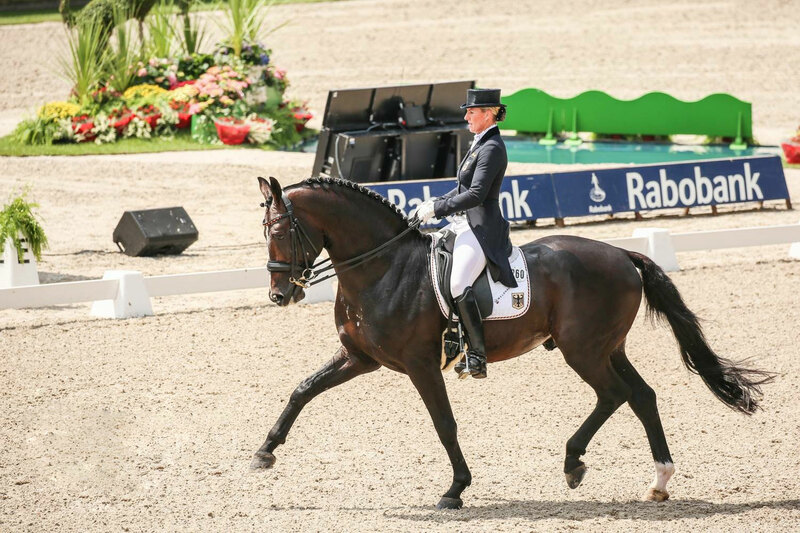 In 2013 they reached effortlessly the Grand Prix level, where they collected victories and high placings in Vidauban/FRA, Achleiten/AUT and Fritzens-Wattens/AUT, Biarritz/FRA and Oldenburg. 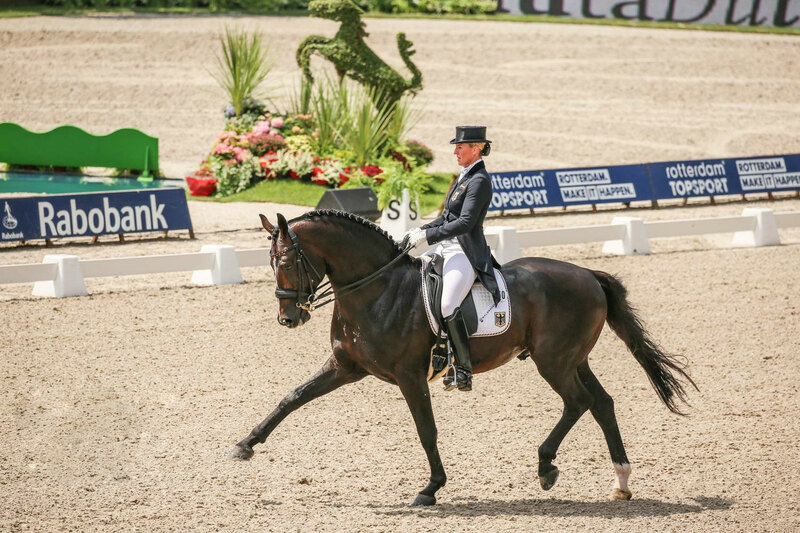 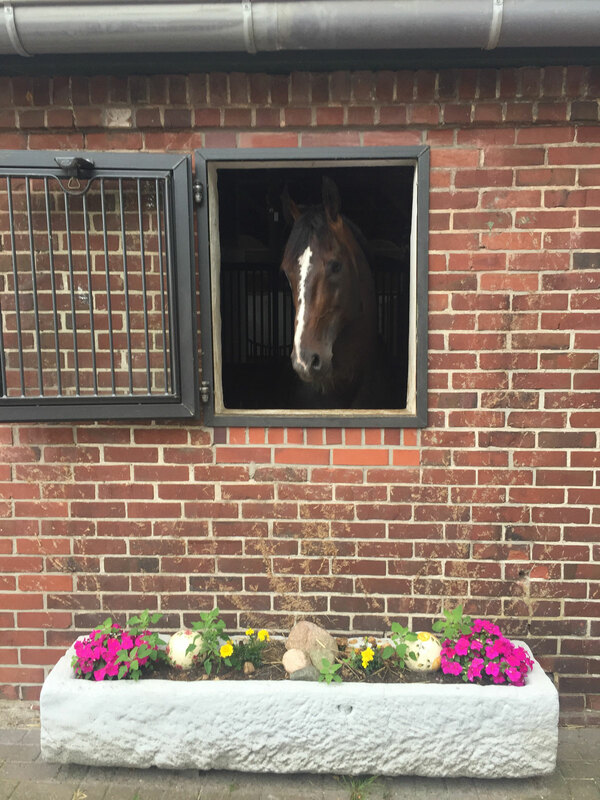 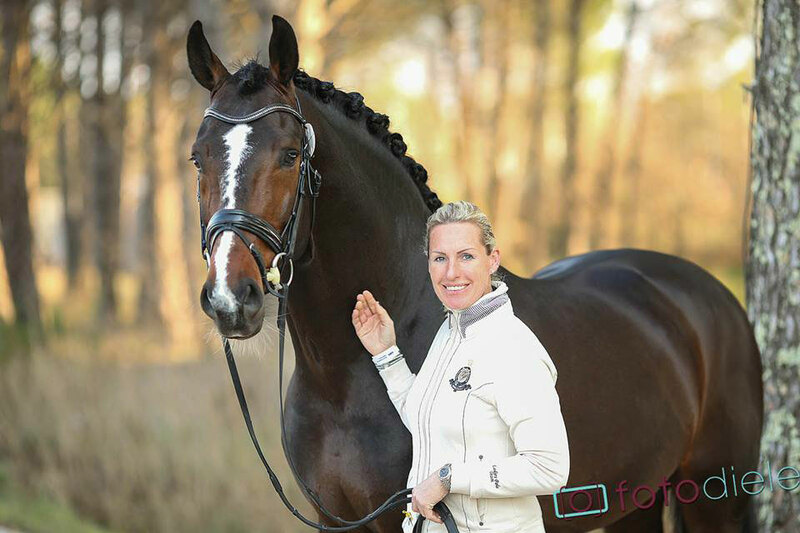 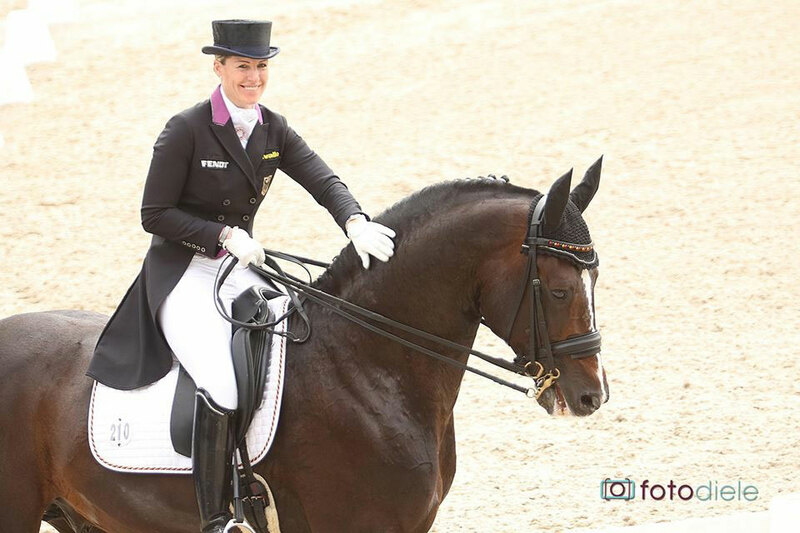 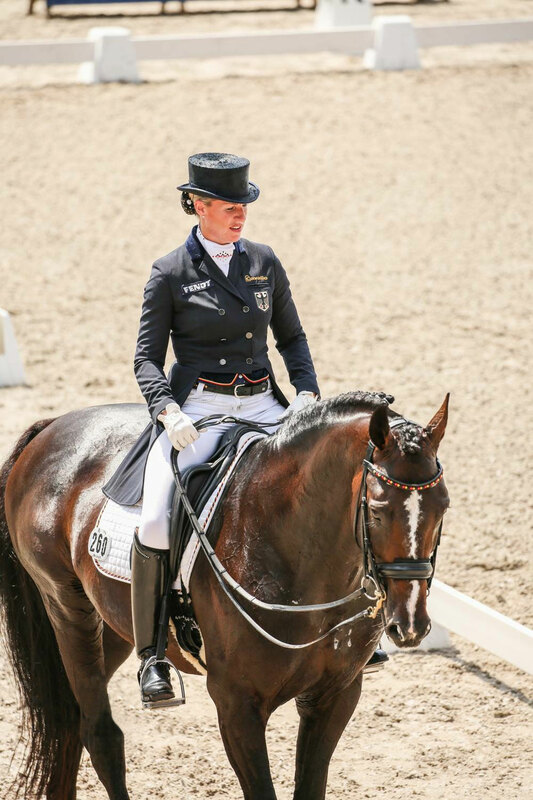 In 2016 he placed third in the Grand Prix Consolation at the CDIO Rotterdam, took 12th rank in the German Championship, fourth place in the CDI 5* in Wiesbaden and in the Nations Cups in Compiegne as well in the Grand Prix Special in Wiesbaden and a sixth place in the Hamburg Dressage Derby.